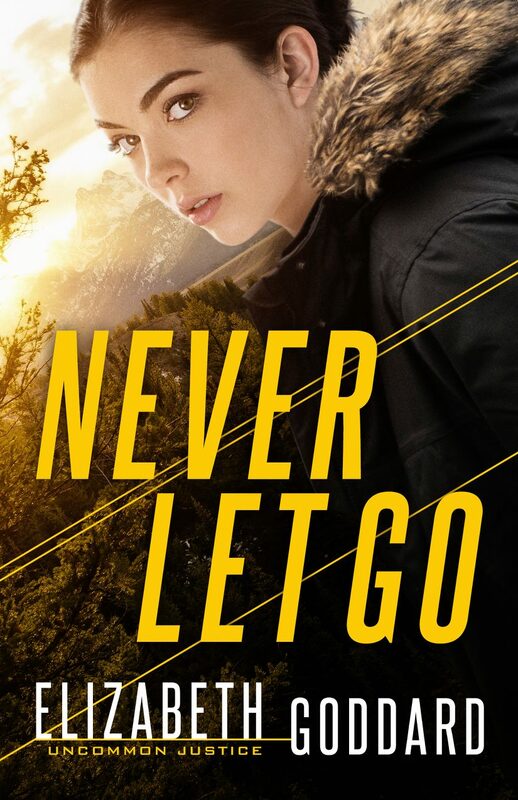 When Heather Jacobs climbs a Montana mountain to pay respects to her late father, the last thing she expects is to be running for her life. 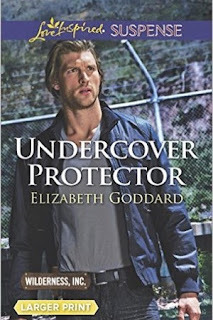 But she’s living a real-life cat-and-mouse chase, trying to escape a punishing foe from her guide Zane Scofield’s past. 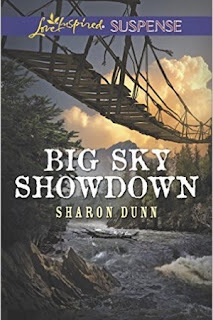 How can a California city girl help outwit a ruthless criminal dead set on scouring the wilderness to kill them? 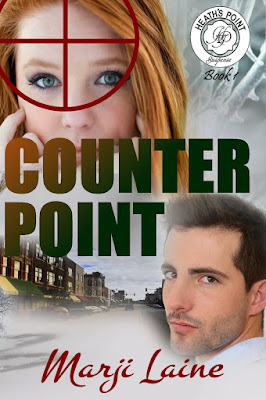 Though Zane knows their pursuer and his nefarious motives far too well, he’s not sure why the man is after him now. Only his wits—and an unlikely partner in the determined woman fighting beside him—can save them. But Zane’s also battling a past that’s threatening to swallow him whole…and take Heather along with him. Suspense Sister and Senior Reviewer, Marji Laine, presents another terrific review on our book page. Iola Goulton reviews STILL LIFE by Dani Pettrey. 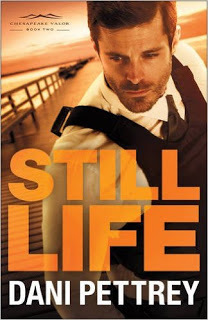 Iola says: “If fast-paced Christian thrillers are your thing, then you’ll enjoy STILL LIFE.” You can read the rest of her review HERE. 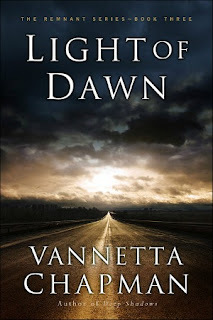 will share What’s Hot in Inspirational Suspense and Mystery. 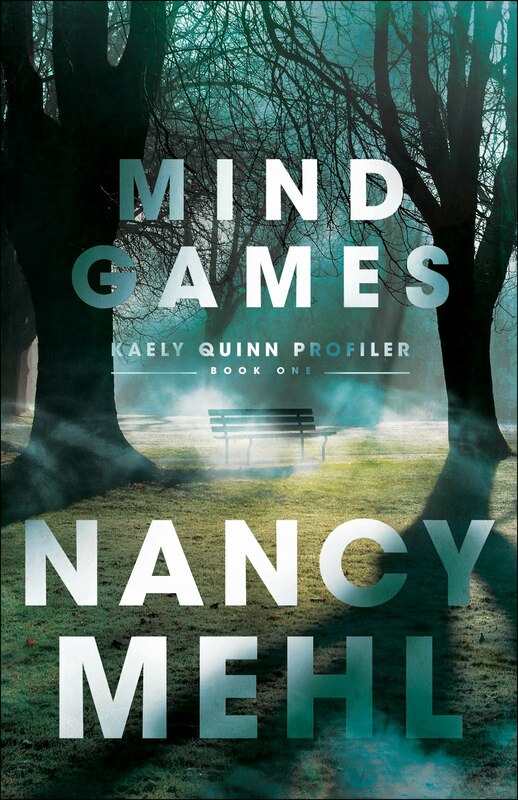 On Wednesday we’ll hear from Suspense Sister Nancy Mehl. She’ll be answering severalquestions from readers. You culd win your choice of FATAL FROST, a $10.00 Amazon gift card, or a chance to see your name in one of her upcoming novels! 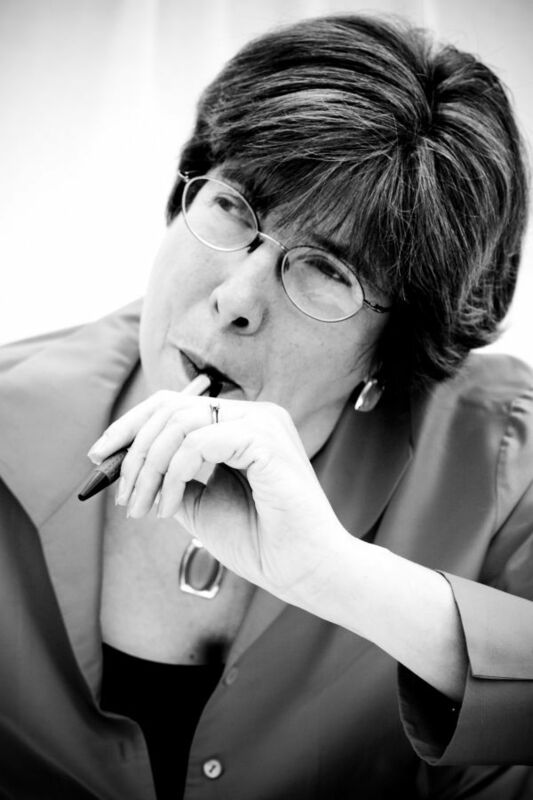 Friday, we’re interviewing author Ann H. Gabhart. 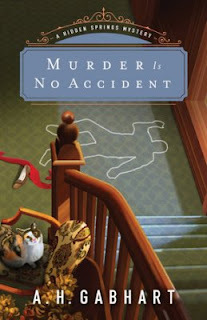 She’ll be giving away a copy of her book, MURDER IS NO ACCIDENT. INTERVIEW WITH MARY ELLIS--"Building" Suspense! 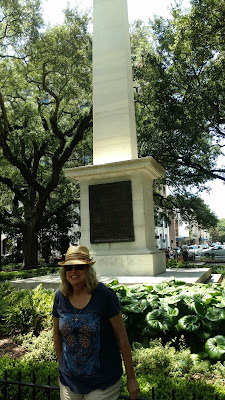 Mary Ellis in Savannah, the location of her newest release. SS: You are quite prolific and have written in several genres. Is this most recent private eye mystery series a new departure for you? ME: I started out by writing mysteries in the ABA world, so it’s not really a new genre. 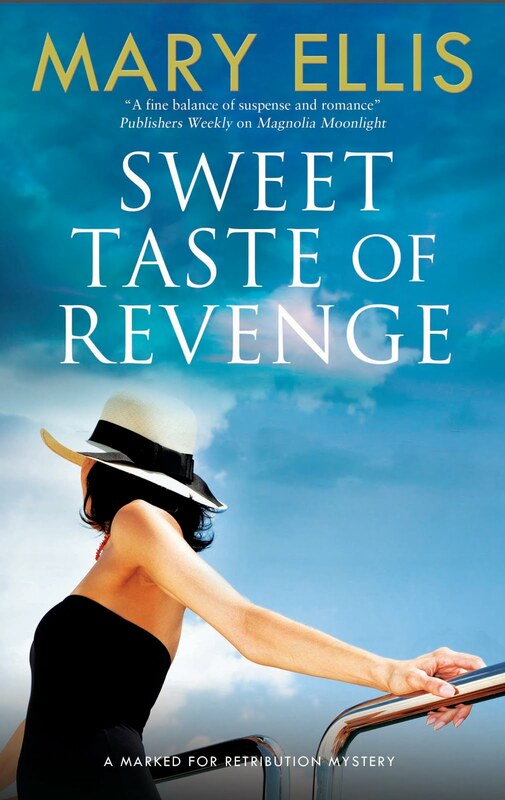 I’m so glad to be back to writing mysteries and romantic suspense, since they’re my favorite genre to read. SS: In the book I just read, Magnolia Moonlight, you display knowledge of the Mississippi Gulf coast and its landmarks, police procedure, private detectives and their legal limitations, casino gambling, forensic accounting and a host of other subjects. Are you a gambling private eye/accountant from Mississippi in a secret life or do you really enjoy research? ME: I LOVE research. It was sheer joy to interview a police captain in Natchez, interview casino management and casino hosts in Bay St. Louis, and travel up and down the Mississippi River. It also helps to have an accountant, a Chief of Police and a Fire Chief for friends. SS: From one author to another, are you an outliner or a pantser? How does that work for you? ME: I’m sort of both. I do start with character sketches and a skeletal outline of chapters to maintain the pace. But as I write each scene I let the characters take over the action. I’m often surprised with what I get. SS: Do you have a favorite author(s) who inspires you? ME: In addition to my sisters (and brother) in Suspense Sisters (who are all awesome!) 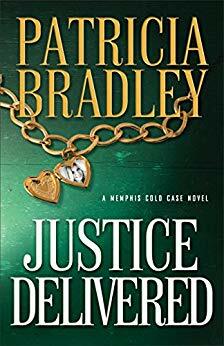 I like mysteries by Patricia Bradley, A. H. Gabhart and romances by Johnnie Alexander. SS: Suspense Sisters are Christian authors. How do you incorporate your faith into your work? ME: My central characters are Christians who try to live by Christ’s teachings and the Ten Commandments. For instance, when forced to lie on the job, they are bothered by their actions. In the book I’m working on now, my central character is a fallen-away Christian who yearns for a closer relationship with God, and finally seeks advice. SS: Everyone always asks, so we will, too: Where do you get your ideas? ME: That’s an easy question to answer. I love to travel and most of my story ideas come from my trips. Once I get away from the comfort zone of home, plot twists come to mind. And I don’t always have to go far. Sometimes a drive to a county where I’ve never been will stimulate ideas. SS: What are your other interests besides writing? ME: Besides writing and travel, I love to swim, ride bikes with my husband, and work in my yard which is usually a mess, despite my good intentions. SS: Just for fun: tell us something that your readers might be surprised to know about you! ME: My husband and I built our house ourselves, including carpentry, plumbing, electrical, drywall hanging—almost everything. It took us 3 years before we could move in, and another 10 years to “finish.” We’ll never do that again! SS: Tell us about your latest release. 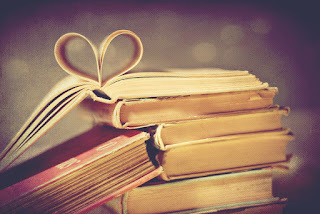 Where can we learn more about you and your books? READERS: Leave a comment below (with your email address!) 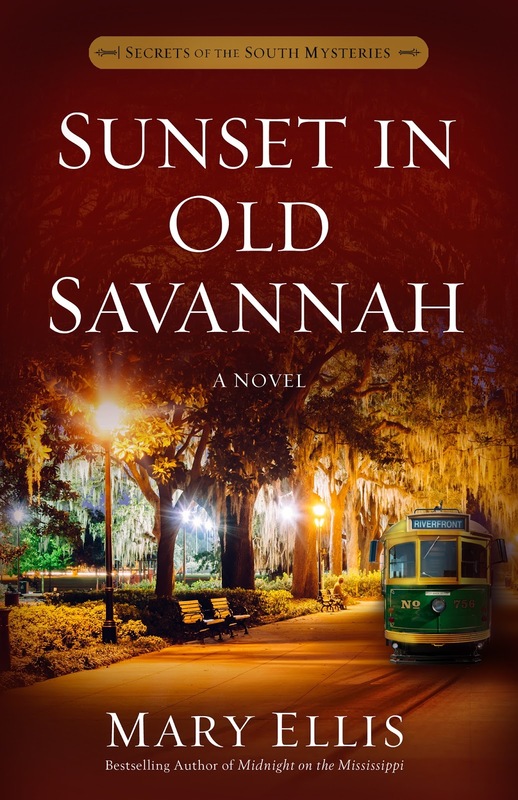 and we'll put your name in the hat to possibly win a copy of Sunset in Old Savannah that Mary has kindly offered! WIN A FREE BOOK TODAY!!! 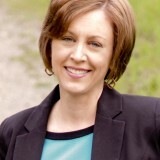 Rachael O. Phillips, a church music director, began her unplanned writing career during midlife when the church secretary demanded newsletter articles at gunpoint. At Bethel College, Mishawaka, Indiana, she obtained degrees in Professional Writing and English. There, she made connections that resulted in her first biography, Frederick Douglass, followed by three others. 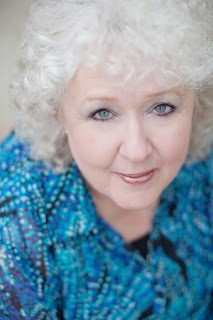 A 2007 American Christian Fiction Writers (ACFW) Genesis winner and 2012 finalist for an ACFW Carol Award, Rachael has written six novels and recently signed contracts for four cozy mysteries. She also has coauthored a reference guide, Women of the Bible,and three novella collections. published more than 700 articles, newspaper columns, devotions, and stories for newspapers, magazines and various collections. She enjoys speaking to diverse audiences, sharing laughs and inspiration. She and Steve, her high school sweetheart and husband of 40 years, live in Indiana, where he serves as a family doctor and also as an adjunct professor at Taylor University. Their three grown children and six perfect grandchildren all live in Indiana and Michigan. Why do you write mysteries, and how did you get started? I think my love affair with mysteries started during my childhood, when I read every Nancy Drew, Trixie Belden, and Hardy Boys book I could get my hands on. I read my first Agatha Christie novel around age eight—instant addiction! Scared myself to death reading Sherlock Holmes by Sir Conan Doyle late at night. I loved them all and still read mysteries when I want to relax. I write mysteries because I appreciate the epic struggle between good and evil. As a Christian, I want to affirm the biblical view that good ultimately will triumph over evil, that the Light conquers darkness. 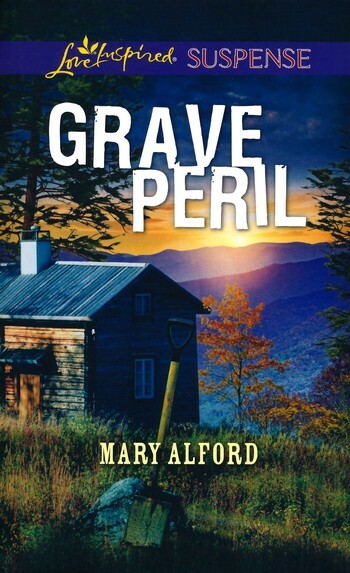 I wrote my first mystery when I gained a contract with Annie’s Publishing. Before that, I’d questioned whether my right-brained approach to life would ever enable me to create and fit together all the pieces involved in a mystery. Signing a contract is very motivating, and by the grace of God and help of others, I learned. I’ve written eight now, with two more contracted. Do you think it helps to be a little bit twisted in the head? Hahaha, it’s an absolute requirement! Who else sits around figuring out innovative ways to murder people? As TV’s Rick Castle says, only psychopathic killers and mystery writers. I’ve been blessed with so many. But I think it was the day during my senior year of high school when my future husband asked me out. Somehow, I sensed that was a special moment. I’ve always kept busy—we have three grown children and six grandchildren. I also completed an associate’s degree in professional writing and a bachelor’s degree in English as I began my writing career during my late forties. But the past eight years or so, in which I’ve published nine books (with two more to be published soon), as well as three novellas and nonfiction, have kept me typing! I’ve had to strip my life down to my top priorities: time with God, time for my marriage and family, and time for writing and speaking. Some of my Christmas decorations are still up! Who is your favorite or most memorable mystery character (either your own character or another author’s)? I have always adored Miss Marple, Agatha Christie’s sharp senior detective who deludes criminals into thinking she’s a helpless old lady. Hercule Poirot is a close second. In one of my own mysteries, I particularly enjoy Mr. Cyrus Whittington, an octogenarian with an English accent. He cultivates penchants for mismatched clothes (as in soccer jersey with a tux jacket) and fine china. Is he a hero or villain? For awhile, that’s not clear. What is your current work in progress? How many words do you typically writer per day? And do you ever feel like a chimp at a typewriter? (I ask that because I often do and I want to know I’m not alone). I just finished A Fatal Harvest and will soon begin another Annie’s mystery. I generally write 1,000 to 2,000 words per day, though I’ve written as many as 4,000 when approaching a deadline. I’m not a superfast writer, so I have to meet daily quotas to keep up. Yes, sometimes I do feel like a chimp at a typewriter! Especially when I reread what I’ve written and wonder if I might have done better to copy the phone book! But, as Ann LaMotte once said, bad writing can be edited, corrected. No writing equals nothing. Do you incorporate settings in your books from travel? Some. I wrote two books set in Oregon, where I lived for two years. My current series, plus an earlier romance trilogy I wrote, are set in Indiana, where I live. I’m not an expert in either series, as I haven’t had much time to watch TV lately. I do find the American characters intriguing. However, I prefer the British series, which seems to follow the original stories more closely. Best and worst parts of writing a mystery series? The best part: Humor is an important element in my current series, so I enjoy creating fun, intriguing characters that entertain the reader and help move the story. The worst part: After writing five books in the series, originality becomes a challenge. Brainstorming with writing friends helps. Have you ever coauthored and would you ever do it again? I’ve worked with other authors in three novella collections. What a blessing Cynthia Ruchti, Becky Melby, and Eileen Key were to me! They were all published, and I was the newbie. I found their advice, support, and friendship invaluable. Still do. I’d consider doing it again, depending on the project and the author(s). I was a choir director for twenty-plus years, and I love music—especially worshipping God through music, both contemporary and classic. Also, my husband and I enjoy camping and hiking. We love to ride our tandem bike, a hobby which has influenced several scenes in my books. If you don’t like to work hard, you’re in the wrong field! Even more important: trust the Lord for your writing career. The publishing world is like a killer roller coaster in a giant fun house. God helps us laugh amid the screaming! Tell us about the featured book, the one you’ll be giving away to one lucky reader! 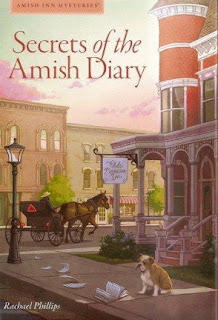 Secrets of the Amish Diary (Book #1 in the Amish Inn series). 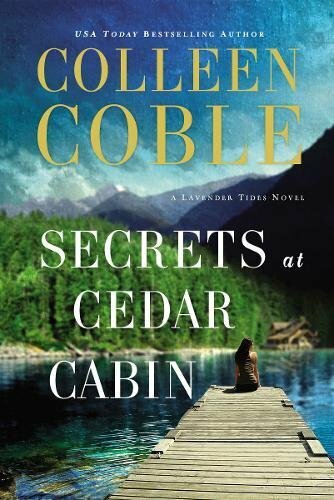 When fortyish Liz Eckardt leaves her hectic life as a Boston attorney to become innkeeper of a bed-and-breakfast in Pleasant Creek, Indiana, she pursues a surprise mystery she discovered in the diary inherited from her late mother, Abigail. As a teenager, Abigail had run away from her Amish community in Pleasant Creek. 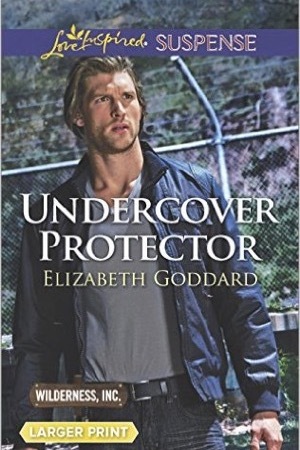 Liz seeks the family she yearns for, only to face the murder of one of her first guests. 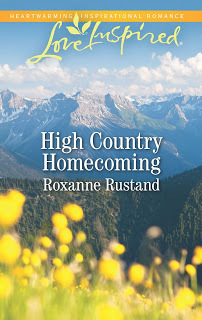 When her new quilting circle, the Material Girls, help her fight for the survival of the inn—and herself—Liz encounters intrigue, danger, and true friendship in the small town that quickly becomes home. 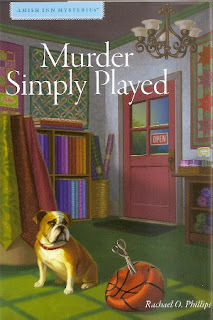 Murder Simply Played (Book #4 in the series) An influx of guests surprises Liz, who assumes late winter is an innkeeper’s off-season. She soon discovers that Hoosier Hysteria, Indiana high school basketball’s unique insanity, has invaded Pleasant Creek—and caused a rift among the Material Girls. At the height of pre-sectional game festivities, however, the head basketball coach is found dead in his office. An estranged daughter, a suspended team star who abandoned his Amish heritage to play, a disappointed assistant coach—all these, as well as others, could have killed Coach Albertson. With so many enemies, how is Liz to determine whodunit? Then the killer targets Liz as Enemy Number One. . . . Please write down the first paragraph of the book. A new life as an innkeeper . . . what was I thinking? Gripping the sink plunger, Liz Eckardt considered inviting the real estate agent who had emphasized the Olde Mansion Inn’s state-of-the-art kitchen to share her morning. She shoved the plunger down-up-down-up-down until the drain finally gave an approving urp and water ran freely. Liz scrubbed the sink until it gleamed like the surrounding granite counters and new stainless steel appliances. Mary Ann, unlocking her shop’s door in the foyer of Liz’s Olde Mansion Inn, looked far better than anyone should at this hour. Mary Ann set down a picnic basket and retrieved giant, silvery pompoms from the top bin of several stacked on a dolly. “Here you go.” She tossed two pompoms to Liz, who dropped them. How can readers find you on social media? My website is http://rachaelophillips.com. I write humor columns à la Erma Bombeck (I won the 2004 Erma Bombeck Global Award) for local newspapers and post many of them there each week. I would love to stay in touch with your listeners/readers! 3 Things a Reader Can Do ... Okay, 4! So, you've finished an amazing book and your heart just glows with justice served, redemption completed, problems resolved, and the hero enthusiastic about the future ... ahhh! What a wonderful feeling when all becomes right in the world of fiction. And how grateful you are to the author for sending you no this 8-hour vacation from reality. How can you thank the wonderful person who brought you such blissful satisfaction? 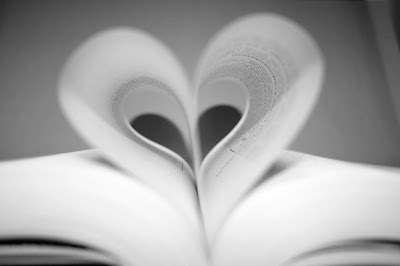 Okay, maybe I'm laying it on a little thick, but seriously, there are some special things you can do to thank the authors of the books you love! Leave a review on Amazon and Goodreads. These don't have to be articles. Give your favorite authors twenty-five of your best words and 5 stars! It's the nicest thing you can do for an author! Share! Spread the word about this book. Share the buy link from Amazon on your Facebook profile. You don't have to say much more than, "I LOVED this book!" That's it; 3 things that can mean so much to any author. I'm telling you, they notice, and they recognize those readers who encourage and support them. 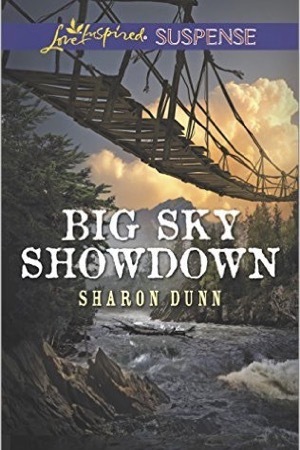 Someone is determined to finish a murdered hit man's final assignment. Her father's gone. Her diner's closing. Her car's in the lake. Cat McPherson has nothing left to lose. Except her life. And a madman's bent on taking that away. Her former boyfriend, Ray Alexander, returns as a hero from his foreign mission, bringing back souvenirs in the form of death-threats. When several attempts are made on Cat’s life, she must find a way to trust Ray, the man who broke her heart. Keeping Cat safe from a fallen cartel leader might prove impossible for Ray, but after seeing his mission destroyed and several godly people killed, he knows better than to ignore the man’s threats. Cat’s resistance to his protection and the stirring of his long-denied feelings for her complicate his intentions, placing them both in a fight for their lives. Can she survive when ultimate power wants her dead? When you comment, leave your email and also tell me what you most like to read - suspense or mystery. Random drawing will be held on Tuesday, February 28, 2017. Before Dawn, What Dangers Lurk in the Darkness? For nine months, ever since a devastating solar flare caused a complete failure of the electrical grid, Shelby Sparks and her diabetic son, Carter, have been living at the ranch of Shelby’s ex-high school sweetheart, Max Berkman. Mostly insulated from the chaos surrounding them, Shelby and Max discover that the Texas government has fled the capitol and is barely maintaining control of the state. The governor needs volunteers to search for the new federal government, but no one knows exactly where it might be located—if it even still exists—or what perils await those brave enough to take on the mission. 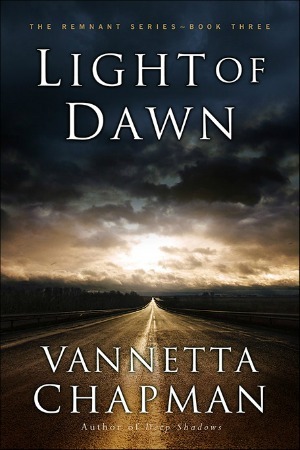 In this thrilling conclusion to the Remnant trilogy, America is left teetering between total collapse and the dawn of a new and vastly different reality. Interview with JULIANNA DEERING and Giveaway!